This name uses Spanish naming customs: the first or paternal family name is Dato and the second or maternal family name is Iradier. Eduardo Dato e Iradier (12 August 1856 – 8 March 1921) was a Spanish political leader. He served three times as Spanish Prime Minister: from 27 October 1913 to 9 December 1915, from 11 June 1917 to 3 November 1917, and from 28 April 1920 until his death. Also he held eleven cabinet ministries, and was four times President of the Spanish Congress of Deputies (a role approximating to that of parliamentary Speaker). Born in A Coruña, Spain, son of Carlos Dato y Granados (himself the son of Carlos Dato Camacho y Marín and wife Cayetana Ruperta Granados y García, de Vivancos e Acosta) and wife Rosa Lorenza Iradier e Arce, of Galician descent, he moved with his family to Madrid while still young, gaining a place at the renowned Instituto San Isidro, and finally obtaining a degree in Law at the Complutense University in 1875. He opened his law office two years later. Elected to the Spanish parliament in 1883, he became Under-secretary for the Ministry of the Interior in 1892. He held the position of Minister of the Interior and Minister of Justice over the next fifteen years. In 1907, he ran for and won the position of Mayor of Madrid. In 1910, he entered the Academy of Moral and Political Sciences. In 1913 he became Prime Minister of Spain for the first time. In 1915, he left that position, but would return to it for a short while in 1917. He became the 230th Minister for Foreign Affairs from 22 March 1918 to 9 November 1918. Then he moved to the post of Minister of State and stayed there until 1920, when he led the government as Prime Minister again. Dato was a member of the International Permanent Court in The Hague (he became Vice-President in 1913), member of the International Law Institute, administrator of the bank firm 'Banco Hipotecario' and President of the National Institute of Social Security, the Council of Public Instruction and the Academy of Jurisprudence and Legislation. On 8 March 1921 in Madrid, while being driven from the parliament building and in front of the Puerta de Alcalá, Dato was assassinated by three Catalan anarchists, Lluís Nicolau, Pere Mateu, and Ramon Casanelles, who were riding a motorcycle. 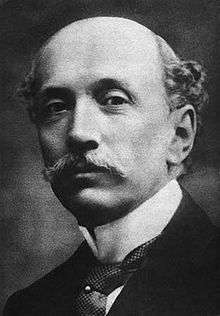 This was the second murder of a Spanish prime minister in less than a decade; in 1912 José Canalejas had been killed similarly. King Alfonso XIII of Spain posthumously created him a Duke by bestowing the title "Duchess of Dato" on his widow. Grand Cross of the Order of Christ of Portugal. 340th Grand Cross of the Order of the Tower and Sword of Portugal. After he died, his wife was granted the title of Duchess of Dato in his honor. ↑ "Duato and the Instituto San Isidro. ".